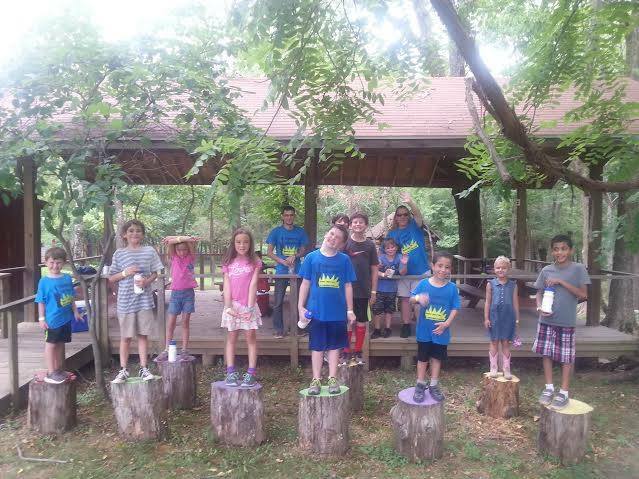 Every week a new theme encourages campers to explore and learn, all while having FUN! The kids stay active, whether going on the regular field trips or staying in-house enjoying activities and games led by our awesome Staff! 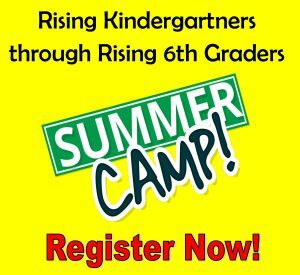 Summer Camp is for children entering Kindergarten through rising 6th graders. June 10-14: DREAM IT. BUILD IT. WRECK IT. REPEAT! Kick off the summer dreaming big! Campers will build elaborate objects, structures, and vehicles, all while exploring fundamental principles of engineering and physics. In addition to using a variety of building materials in-house during the week, campers will have a blast visiting Bricks 4 Kidz where they will learn, build, and play with Lego bricks! 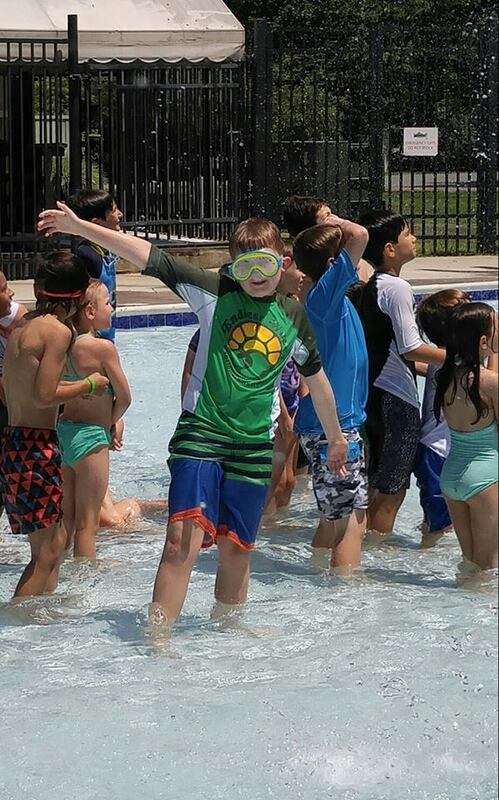 A trip to the pool is on the agenda for our older campers, while the younger ones will enjoy a trip to a local park to explore and play. June 17-21: SELF EXPRESSION! There are so many amazing ways to express ourselves – through music, art, sculpting, drawing, and many more! In-house skits to explore drama, sculpting with clay, and our own karaoke party will all be enjoyed this week! All campers will cool off at Volcano Island Water Park one day, with a second field trip for our younger campers to the bowling alley, and a trip for our older friends to Berryville Park and Willie’s Ice Cream. June 24-28: HANDS AROUND THE WORLD! We want to take campers on an adventure around the world, learning about different cultures and discussing heritage. We can’t wait to celebrate what makes each of us unique! The field trips this week will take campers to the Sully Historic Site to learn about colonial life, and to the movies followed by a picnic lunch in the park. July 01-05: COMMUNITY HEROES! You don’t have to go to the movies to find a hero – there are plenty of them right in our community! Campers will take a trip to the fire house to meet some of them and learn how fire fighters keep us safe. In addition, campers will enjoy a trip to Sport Bounce with a picnic lunch to follow. July 08-12: GOING GREEN! Campers will learn how one person’s trash can be another person’s treasure by turning recycled materials into beautiful and useful items! A tour of our local landfill is also on the agenda where we will watch 40-ton tractors smash trash and will get quizzed on recycling! A dip in the Franklin Park Pool is also scheduled. July 15-19: BRAIN GAMES! Just because it’s summer doesn’t mean our brains get a vacation! This week, campers will show off their problem-solving abilities and will test their fine motor skills through puzzles, word games, mathematics, sorting, stacking, and more! Brainiacs will pay us a visit here at the Center, encouraging curiosity while learning through their “Imagine, Discover, Create” model. We will also take a trip to both Monster Mini Golf and the movie theatre! July 22-26: FOOD FOR THOUGHT! Kitchen fundamentals and culinary techniques are on the menu this week as campers tie on their aprons and create yummy snacks. They will be master chefs in no time! A “behind the scenes” tour at Domino’s Pizza is on the calendar for all campers. The younger campers will also visit Temple Hall Park, and the older kids will enjoy JD’s Family Fun! July 29-Aug 2: MIND BLOWING TRICKS! This week we are challenging campers to come up with their best creative toppling tricks using all sorts of different objects and materials! In addition, the older campers will head to Curiosity Zone while the younger ones visit Winchester’s Discovery Museum. All campers will take a trip to the bowling alley and try to topple as many pins as possible! Aug 5-9: STEM SQUAD! Challenging and fun projects encourage collaboration, decision-making, and innovation! While working together to solve problems, campers will develop a love of science, technology, engineering, and math. 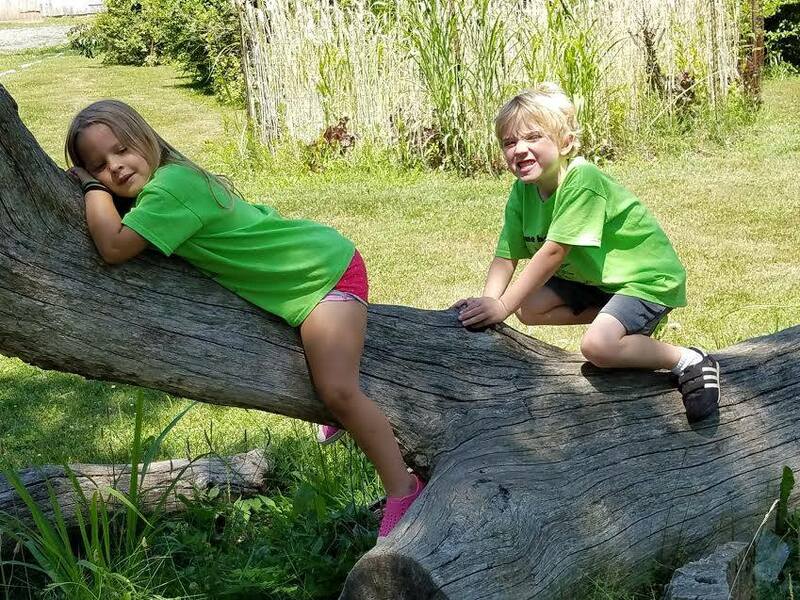 A visit to Blandy Farm will teach campers about mammals and insects, while Volcano Island Water Park lets them cool off while investigating ideas such as buoyancy and physics first hand. Aug 12-16: GAME CHANGER! We hope our campers are ready for some good old-fashioned fun! They will have a blast building their skills in a variety of indoor and outdoor games. Maybe Marco Polo while at the Franklin Park Pool? And how about soccer while at Berryville Park? Board games, group games, you name it, we play it! Aug 19-21: LAST LAZY DAYS OF SUMMER! During these last three days of summer camp, campers will relax, chill, and share their favorite moments about our summer camp experiences. Back to school on Thursday, August 22nd. **NOTE: Field Trips are subject to change.